The Crazy Eight Bracelet has movement and color. You can make it with any color of 6mm round crystals. The large gauge rings go around an oval ring so that they roll as you wear the bracelet on your wrist. The crystals are trapped inside a cage of rings. 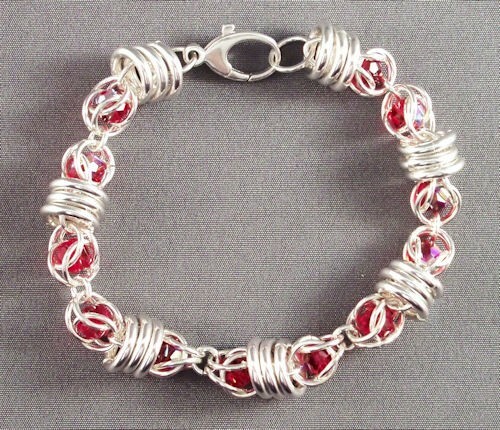 This bracelet is fun to make and comfortable to wear. See the matching earrings in the earring kit section. This is a beginner weave. The clasp and crystals are not included in the kit.